A few years ago, many would shy away from the Lexus brand due to their lack of sporting credentials. All of that has changed, and for 2013 Lexus gave its flagship a freshly pressed new suit. 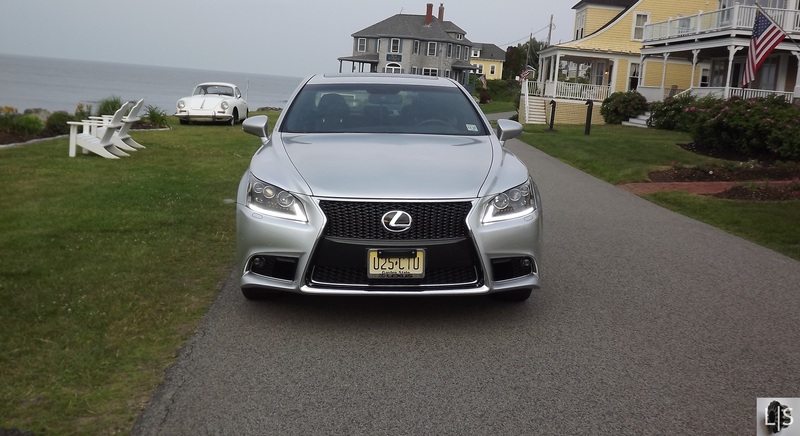 For the 2013 model year, Lexus breathed new life into the LS. Leading the rejuvenation of the brand’s most renowned model is the F Sport trim level, and we thank them for such a thing. The exterior gets a new look to set it apart from its stablemates with a new front grille, bumpers, and wheels. Inside you’re caressed by the bolstered seats with F Sport crests in the headrest, matte finish aluminum trim, an alcantara headliner, and some aluminum-clad sport pedals. I’m sure by now you’re asking yourself, is this just for show? The answer is partially. Having driven the BMW Alpina B7 recently, we knew that this Lexus wasn’t going to be a competitor in the performance field. That being said, the Lexus is no slouch. Clocked at 5.9 seconds to 60, our all-wheel-drive tester makes good use of all 360 horsepower from it’s naturally aspirated 4.6L V8. Opt for the rear-wheel-drive version and get an extra 26 ponies from changes in the exhaust routing, resulting in slightly quicker acceleration time. You notice the second that you begin driving that you’re not quite in a performance sedan, you’re still in a luxury liner that has sporting characteristics. The Brembo brakes work fantastically well, even though the front rotors tend to squeak as we rolled through a 600 mile tour of New England. Highways seemed to be a seamless transition from state to state as the miles racked up and the fuel guage plummeted. As with any V8, the Lexus isn’t the first word in economy, but we managed to average 21.8mpg over the course of the trip. Comfort was the name of the game while on the highway. 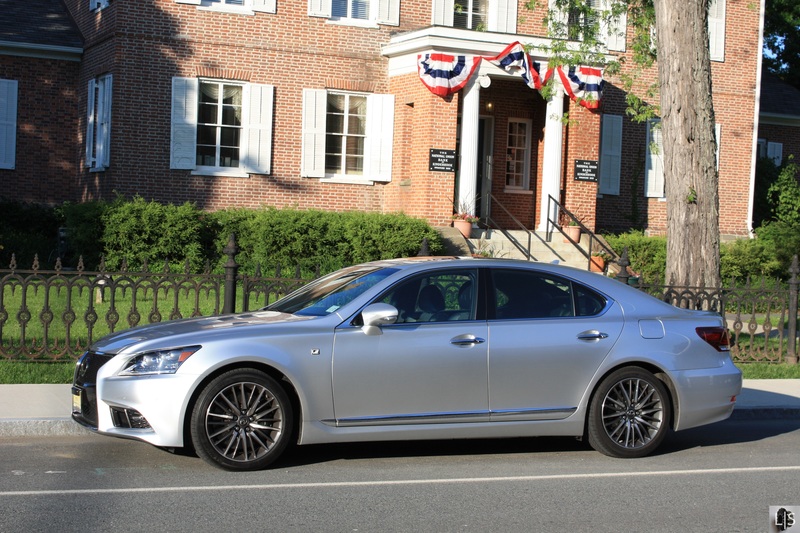 The Lexus Enform, while a bit cumbersome to navigate, was adept at finding places to eat and nearby attractions. Annoyingly, you cannot access most of the navigation, settings, and telephone menus when moving. That meant we needed to resort to voice commands that were limiting and sometimes frustratingly incorrect. After a while though, we got used to the Lexus’ 12.3″ display and it’s mouse-like control unit to the point where we could tolerate it. It’s not the best system out there, but it will always get you home…or to the best ice cream in New Hampshire. 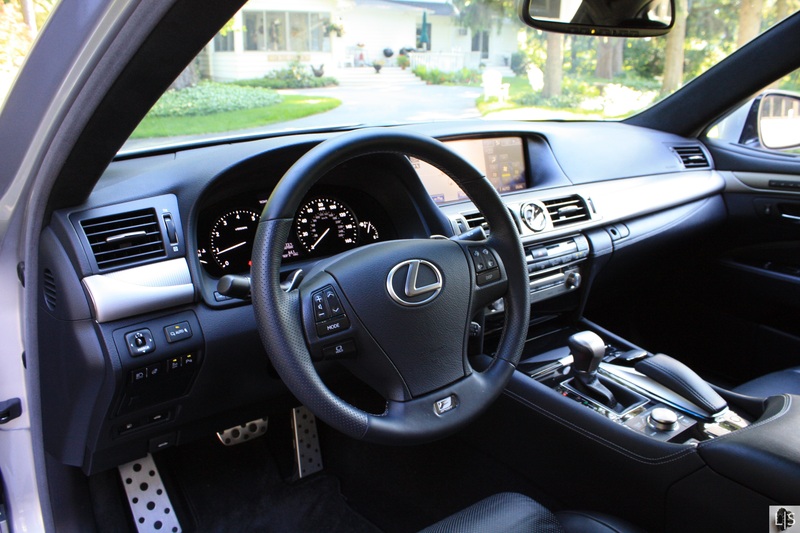 Lexus has been historically known for reliability, ride quality, and attention to detail. The good news for consumers is that, for nearly $90,000, you will be rewarded with all three in spades. You can tell from examining the LS that there is unparalleled level of attention to detail paid to every part. This is especially true for the LS460’s memorizing Liquid Platinum paint finish. All of the interior fitments have a premium, almost hand-built, feel, from the leather wrapped dashboard to the contrast stitching on the seats. You get the feeling that shutting the soft-close doors with dual-pane glass encases you in the nicest luxury appointments that Japan has to offer. So the question then becomes what to think of the fresh squeezed LS460 F Sport? Well, it’s definitely got all the creature comforts that anyone would want, although long-wheelbase lovers will need to settle for the LS460 without the F Sport trim to gain extra back seat roominess. 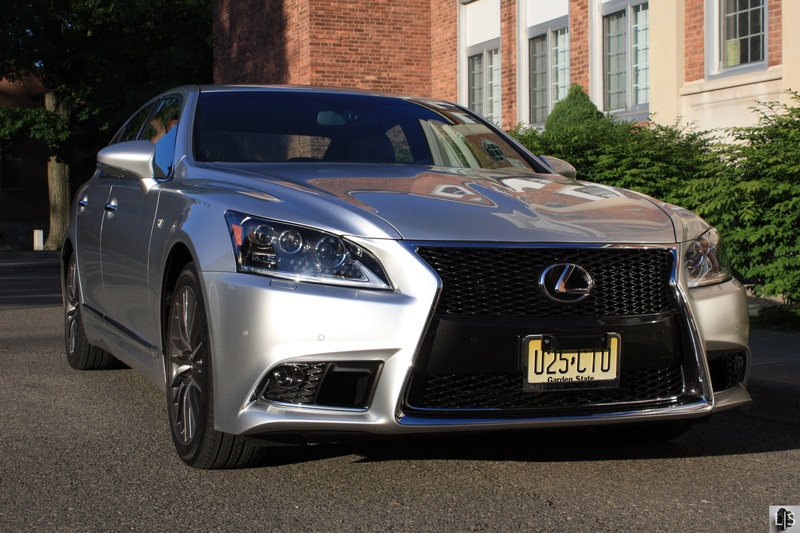 If you can live with the standard wheelbase, then you will quickly fall in love with the exuberance, comfort, convenience, slight sportiness, and just all around craftsmanship that the Lexus LS460 F Sport has to offer. The F Sport moniker is one that, from our perspective, isn’t a separate sport model. The F Sport line isn’t quite there, but it’s not meant to be. It’s not an M, S, AMG, or any other letter competitor, it’s a trim line rather than a full-fledged makeover. When you look at everything that way, you see that what Lexus is doing makes perfect sense.